I had a $5 off $25 coupon (print here -expires Jan. 3rd) and $24 in Extra Bucks. There was an error because I was "under" my Extra Bucks amount so he told me that I couldn't add anything else and that I could only use $22.24 from it because the rest got taken off because of tax -WRONG. What he should've done was told me to add something else -I was kind of mad because I could've added another lip gloss or something but oh well (lost out on a free $1.76). 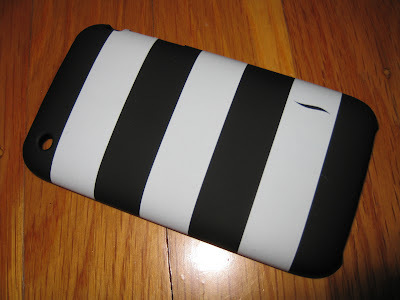 I also stopped by Sephora and picked up a free iPhone case. You just have to download the Sephora To Go app and you get a free case. I'm switching to my little brother's iPhone since my phone's run is just about over and I'm waiting to use my upgrade on something I like. I'm not that into iPhones but if I end up liking it after a month or so, I'll probably just get the iPhone 4. If I DON'T love it, I'll just use it until I upgrade to something -I actually really want a Droid but we'll see. I wish I could get the Revlon lipsticks and lip glosses so cheap here but they are much more expensive. I still end up buying them though cause the colors are so pigmented and I love them. I agree with Charlene...soooo cheap that's crazy! In Canada I will pay like 10$ for a lipstick and 12,50$ on a gloss (regular price) cheapest price I can get sometimes is 7,99 or 8,99$. @ Taj Acosta.. LOL me too -actually I like getting anything (good) for practically nothing. =) Hope you find some great stuff at CVS tonight! @ Charlene.. Argh that really stinks. =( I hope you get some kind of Revlon sale soon!! I hate paying so much for makeup too. @ luckiebeauty.. Goodness that's a lot! I still find the regular price (around $9) for lipsticks to be expensive. If you ever visit the US, make sure to hit up some drugstores! =) I'd love to visit Canada though. You got such a great deal. I'm heading there right now to look for some deals too. Can't wait. holy crap!$3 phys formula palette??? i wish i lived in the US! amazing prices! I love those revlon lipglosses! 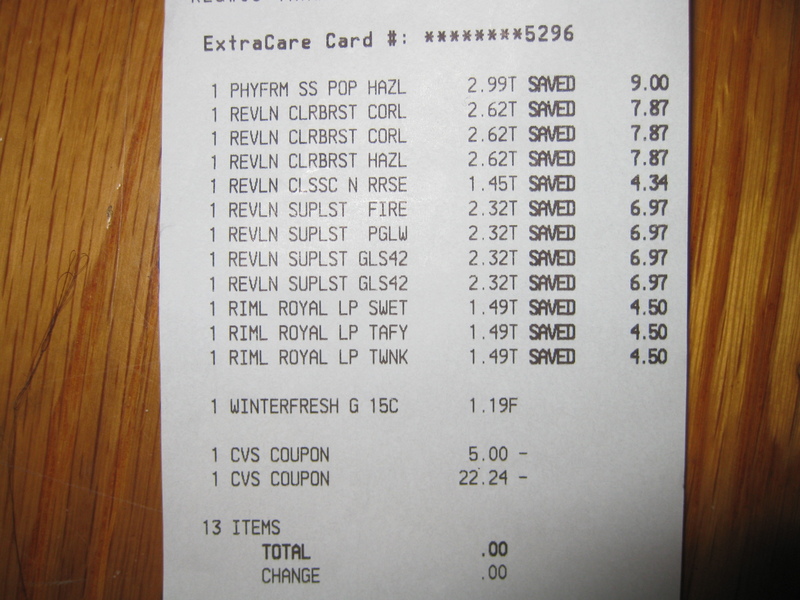 those revlon lipglosses are not marked 75% off at my CVS when I went yesterday.. maybe I'll have to check again! So to get the sephora iphone cover you just show them the app you downloaded on your phone? @ yourstrulypam.. Hope you got some great stuff! @ Justine.. LOL.. yea.. I hope you lovelies get some awesome sales sometime. =) I think I'd go crazy if I had to pay so much for Revlon! @ ~Lisa.. Aww.. =( You deserve a good sale too! Stinks that Canadian prices are SO HIGH. @ siwing.. Try scanning them -a LOT of stuff from my store wasn't marked either but they scanned as being on clearance. Only selected shades are on sale though. =\ Also, remember to bring coupons! @ Anonymous.. Yupp just download the app and they'll give you a case for the 3G/S or 4 (your choice.) It's plastic though with thin, rubbery material on the outside -I thought it was one of those flexible rubber cases. It works though and it's pretty cute. =) ..But it can easily break since it's not too sturdy. LOL cool! I think it's a pretty cute case -just wish it was more sturdy!